Redmi note 4 has MTK version and golobal version(Snapdragon 625/635)。. Redmi note 4x has snapdragon version and MTK X20 version.. Please count the holes in each side of the charging hole. 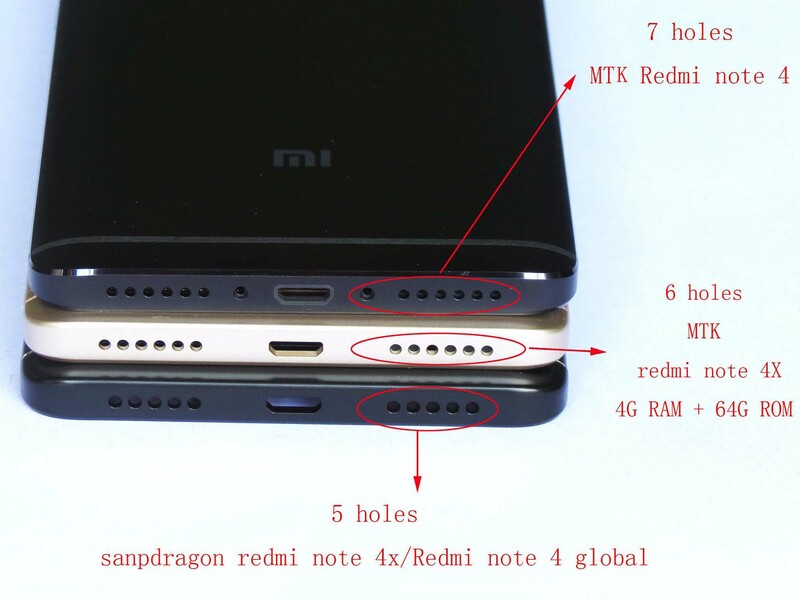 5 holes—— redmi note 4x snapdragon version/Redmi note 4 global version. 2552 and 1434 are same. They have frame front housing. 1246 has no frame front housing. 6 holes—— redmi note 4x MTX X20 version. 7 holes ——redmi note 4 MTX version.